In earlier posts I mentioned the wonderful customizable maps of “My E-City”, (我的E都市). 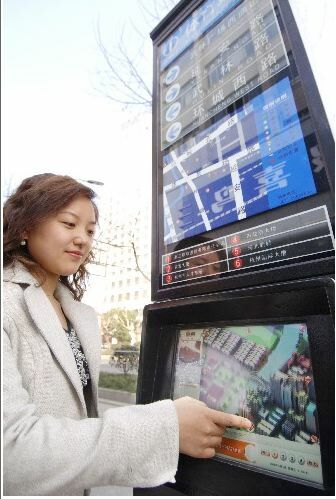 It looks like the same graphic interface has been launched in real world places throughout the city of Hangzhou as well. My E-City has maps for Shenzhen, Shanghai, and Xi’an among others; don’t know if they’re visible on those city streets too.